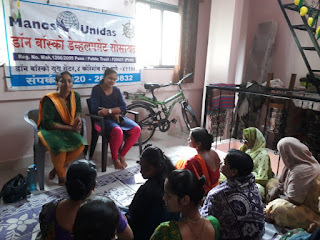 11-July-2018, Pune: The Don Bosco Development Society (DBDS), Pune organized an interactive training session on ‘legal rights under constitution’ for the women in Jai Jawan Nagar slum in Pune. 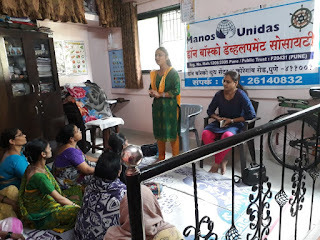 21 women participated in this program held under the aegis of ‘Women Empowerment Project’ supported by Manos Unidas, Spain. 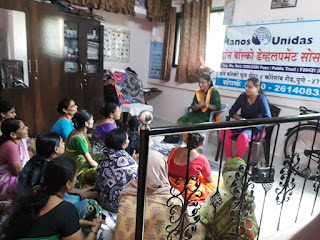 Advocate Yogini Gaikwad the resource person, explained the complex laws related to women in a very simple language with case studies. 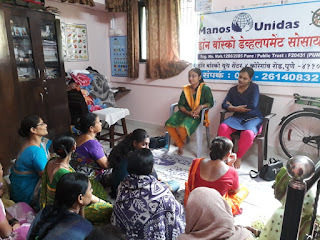 She covered topics related to gender equality, domestic violence, divorce, maintenance, sexual harassment at work Place, Property rights, matrimonial laws etc. She also covered provisions under IPC - 302, 420, 498(a), 375,376, 377,354. The session was followed by a question and answer session. Adv. 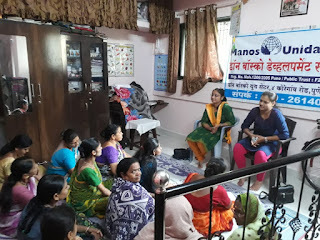 Yogini Gaikwad answered all the questions of the Participants. Program ended with the vote of thanks by Ms. Jyoti Sonwane (Staff - DBDS).